Interesting Retirement Savings Hypothesis - Only the Last Few Year Matter? This weekend, CNBC linked to a rather lengthy article summarizing an opinion that’s a bit interesting to contemplate, yet flawed in my opinion. Here’s the source article, but I’ll summarize. Save and invest diligently for 30 years, then cross your fingers and pray your investments will double over the last decade before you retire. Consider the numbers for a 26-year-old who earns $40,000 annually, with a long-term savings target of $1 million. To get there, she’s told to save 8 percent of her salary each year over her 40-year career. (We assumed an annual investment return of 7 percent, and 3 percent annual salary growth, to keep pace with inflation). Yet after 31 years of diligent savings, her portfolio is worth just slightly more than $483,000. To clear the $1 million mark, her portfolio essentially must double in the nine years before she retires, and the market must cooperate (unless she finds a way to travel back in time and significantly increase her savings). Should the markets misbehave, however, delivering a mere 2 percent return over the 10 years before retirement (not all that hard to imagine, considering the return of a portfolio split between stock and bonds over the last decade), she falls short by about a third.Her portfolio would be worth only about $640,000. At first glance, you might say, “OK, this example paints a scary picture, where yes in fact, this employee is in trouble assuming even 7% annual returns since a low return in the final years kills the whole retirement nest-egg target”. The problem with this example though, is that the example assumes a 2% return in the final 10 years. While this is theoretically possible, just like we saw with the prior lost decade in stocks, it goes completely contrary to assuming 7% long-run investment returns to begin with. It’s really something well under 7% over the full span which is a far cry from the 8-10% oft-cited returns (including dividends). So, not only is the initial long-run assumption lower than the actual returns we’ve seen historically (fine, so you’re being conservative), but then on top of that, the example bastardizes the actual 7% assumed over the 40 years. See, if they wanted to paint this right, the initial return should have averaged something well over 7% so that the 2% earned in the final decade brought the total 40 year return BACK down to 7%. They’re basically using double-jeopardy to prove their point, so the point isn’t very strong. Oversave: Easier said than done, but as evidenced in the example above, if you want to be very conservative and assume a lower-than-historical rate of return for equities and your portfolio in general, then you’ll need to save more than say, an assumption of 8% returns. This means starting early and sacrificing more than you’d like. Go Aggressive Early: I’m a big proponent of taking on risk commensurate with time horizon, so I’m as aggressive as possible now, knowing I have decades to go until retirement. I’m close to 100% equities, trying to get plenty in emerging markets as well. I’ll increase my bond exposure as I get older, but for now, aside from the notion that they may have more downside risk than upside potential, they also tend to underperform equities in the long-run. Diversify – For Real: Speaking of emerging markets, diversification doesn’t just mean holding a broad market fund like an S&P500 proxy is adequate diversification. There should be country diversification, asset class diversification, and if you can’t get it in your retirement fund, invest outside. For instance, I can’t get access to energy and metals in my retirement fund, so I invest through my traditional trading account. 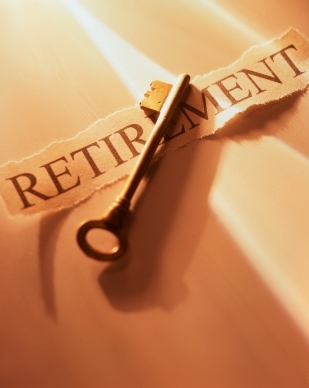 Have a Plan for some Income in Retirement: While this may not be practical for everyone, chances are, there are some skills you developed during your working years that you could parlay into a reasonable side-income. Maybe it’s blogging, maybe it’s consulting, maybe it’s painting houses. Whatever it is, it’s good to know that should your nest-egg or fixed income fall short, you can bridge the gap with side income and still enjoy your retirement. This doesn’t have to mean you “never retire”, just that you can retire on your terms with the flexibility to earn extra income if needed. Start planning early though, as you don’t want to find out at 63 that you’re running short. Compounding makes the big difference. Beginning a few years earlier is far more important than adding larger sums in later years. If you accept my statement as true – and I understand if you do not – then it doesn’t matter how well you do in later years. Compounding is a series of multiplications. We know that a*b*c = b*c*a. It does not matter in which years the big returns are achieved, as long as they don’t come in the early years. In the early years, annual contributions are significant in relationship to the size of the account. In later years they are far less significant. If the saver gets that desired doubling, it’s almost as helpful in the penultimate decade as in the final decade of savings. As far as ‘oversaving’ goes, it’s far more important to do that early rather than late. The saver may have less cash available, but if an effort is made to add some frugality to a lifestyle – such as rent a reasonable, not flashy apartment, but a used, not new car, etc – if the lower expenditures lead to increased savings, that can overcome some later difficulties. As far as rate of return is concerned, it’s a big guess. Nothing can be done about making that guess more accurate. I don’t like how the article makes it sound like it’s not even worth saving for retirement because you’ll never make your target anyway. In the example above, assuming the returns go exactly as stated (which I agree is not argued very well), the woman still ends up retiring with $640,000! How is that bad? Having worked for the past 10 years in the financial planning industry and seeing more than one person retire on Social Security and very little besides, I think $640,000 isn’t a bad situation to be in. It may not hit the target of $1 million, but considering what her situation would have looked like if she had started saving at 40 or later as many people do, “only about $640,000” is great. It isn’t flawed at all. This scenario isn’t 100% stock – it’s a mix of stock and bonds, thus the “conservative” 7% return over their life. The “long-term” % return for the stock market is from 250+ years. There are often periods of 15+% return, as well as periods with under 3% – and it can last for at least a decade. The luck of when you retire plays a huge role. If you are in your 20’s while the market is jumping with 20% returns – you miss most of the fun as even if you are saving 20% of your pay you don’t have a big balance to enjoy the returns on. If you are in your 60’s when the market is flat – then your big balance doesn’t get to enjoy hardly any returns. I think to make it happen how it should you have to have the mindset that you will aggressively put away money right when you enter the work force as a young adult. We all know that there is a rather small population of people that will actually do this and stick to it. Retirement to some simply seems a like a foreign land.